Just spent a couple of hours reviewing every source I can think of, from the virtual to the printed word, trying to figure out for myself what we’re seeing at this time, from all I can tell, is an industry on an unprecedented roll that puts it on entirely new ground in terms of manufacturing capacity and potential expansion opportunities as we sit here in the first quarter 2017. Outdoor Recreation appears to be on a steady climb. Yes, all signs seem to point in the same positive direction especially year-end Recreation Vehicle Industry Association shipment reports indicating that the RV side of the business in its seventh year of post-recessionary growth posted 15.1% growth across the board in 2016 – a total of 439,691 units for the best performance in 40 years. Publicly held companies are issuing glowing financial reports while crowds were blowing the doors off at many winter shows. But the most interesting thing of all to me right now is the big picture – a palpable change we are apparently witnessing in the American culture with respect to outdoor recreation in general and RV camping in particular. 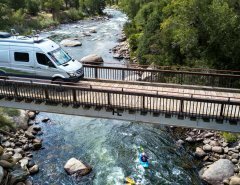 It’s a surprising turn of events that is not only flooding the aisles of retail RV shows, but is also generating unparalleled traffic at state and national parks, the latter of which just posted their third consecutive year of record registrations. 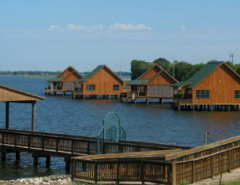 Same goes, by and large, for private RV parks and campgrounds from coast to coast. Indeed, there well may be something happening here, as one industry pundit said recently, and it’s just possible that we as an industry have collectively found ourselves in the right place at the right time. “The market looks great right now” added Jim Humble, general manager of Windish RV Center, whose suburban Denver dealership sold 119 units at the weather-shortened Colorado RV Adventure Travel Show. “I think that now more than ever, based on the influx of young families who are just coming out in force. 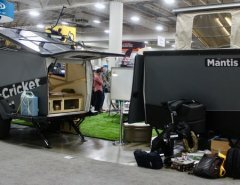 I think that today in the world of technology people are seeing the benefits of traveling in a trailer or fifth-wheel versus the cost of airfare to go to Disney World, which far exceeds the cost of traveling with a family in an RV when you can spontaneously just take off and go for a long weekend. I think that families in today’s world are really seeing the benefit of that more than ever”. Use of RVing for outdoor recreation as well as family travel, is signifying road travel over air and hotel travel as financially prudent.